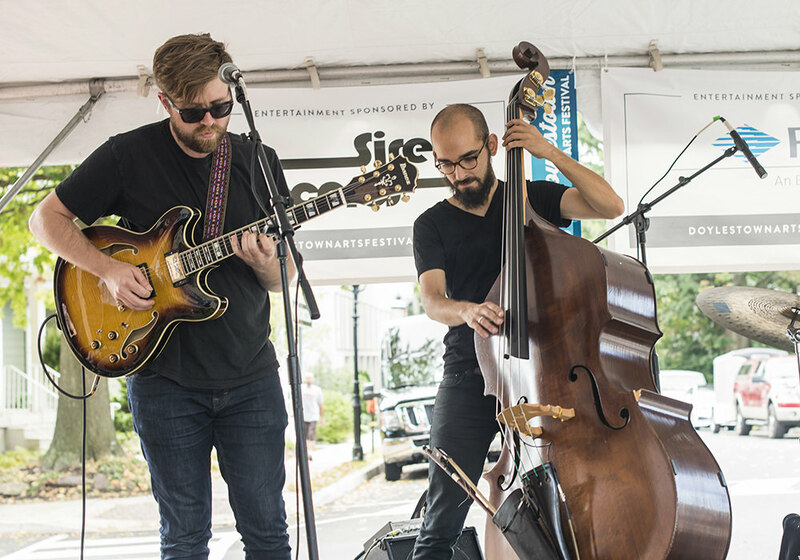 Designed to illuminate the region’s ongoing commitment to arts and culture, the Doylestown Arts Festival annually features 160 juried artists, live music on 5 stages, local food vendors, live art and interactive demonstrations. 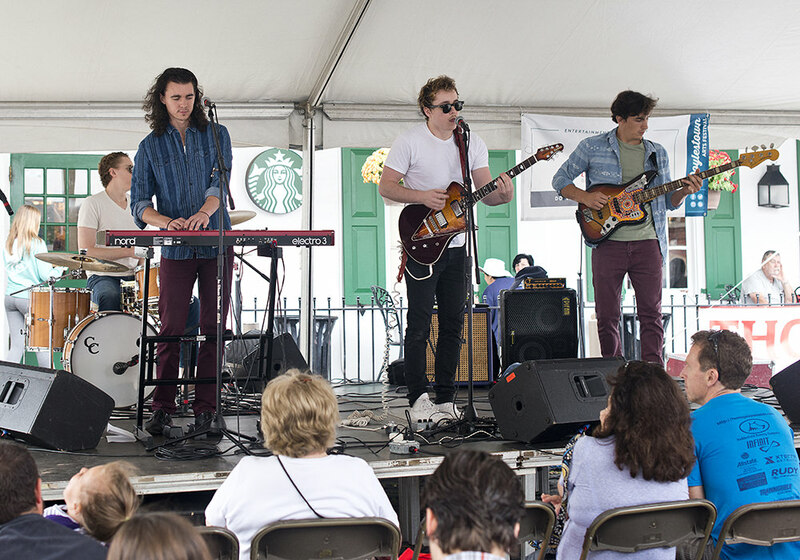 Founded in 1991 by a small volunteer group of businesses and residents, the festival now celebrates 28 years of showcasing creativity in Bucks County. 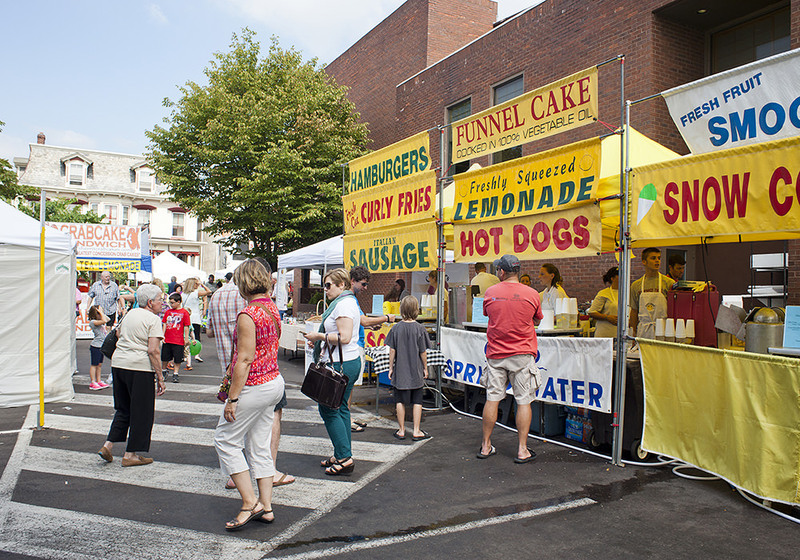 The highly anticipated two-day street festival attracts thousands of visitors each year. 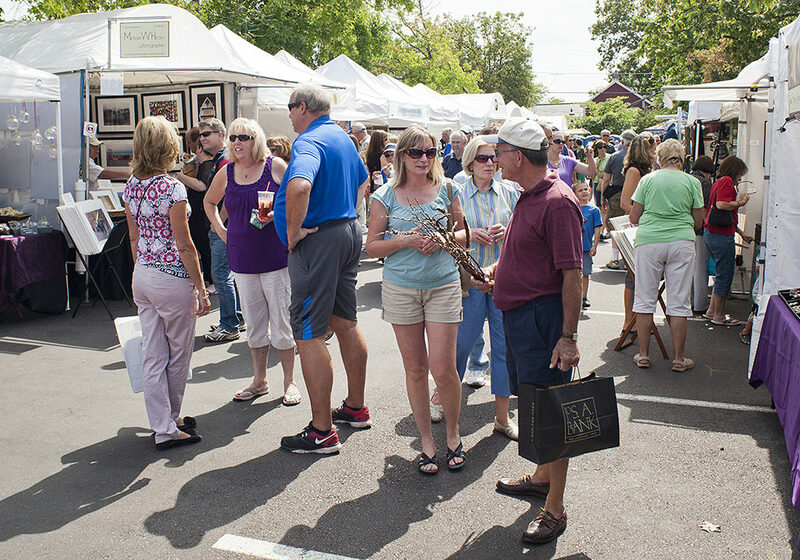 The festival returns in 2019 on September 7th & 8th, from 10am-5pm each day. On Sunday, The Thompson Bucks County Classic rolls in with six bike races. The event is free to attend. Follow us for news and updates! 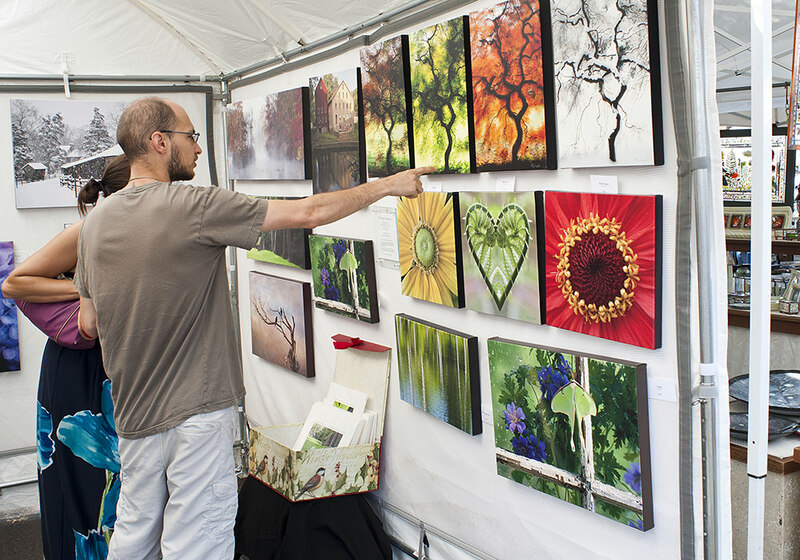 The Doylestown Arts Festival is organized by Discover Doylestown and made possible by The Thompson Organization and our generous sponsors. 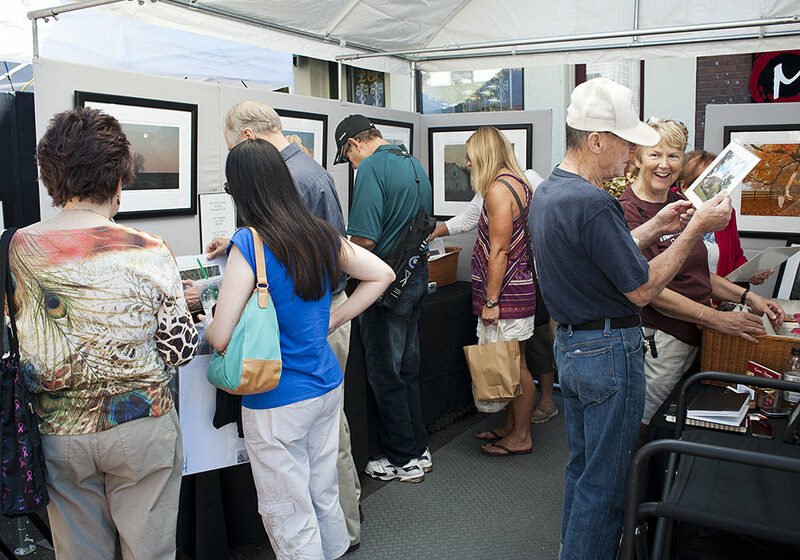 Locate artist booths, stages, food courts, and more with our interactive map. Our festival program will make getting around the festival easier than ever. 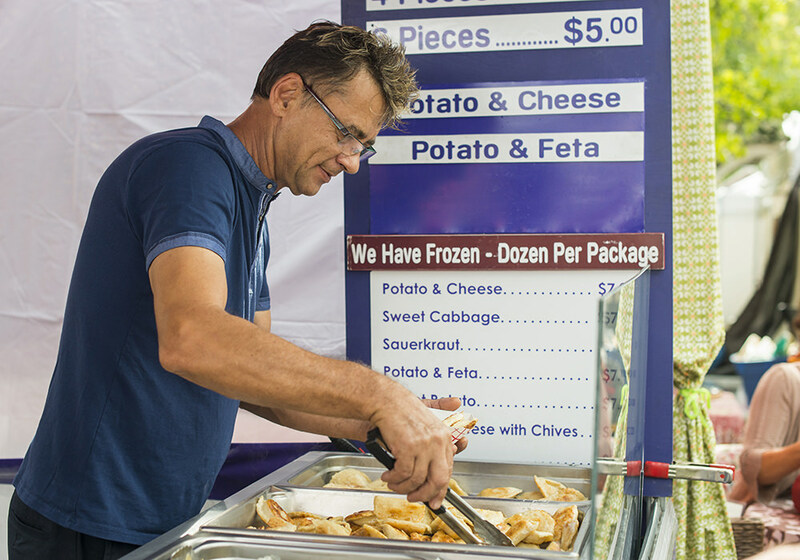 The festival will feature two food courts (located in the Hamilton Street Parking Lot and Dommel Way) in addition to our many local restaurants & bars. Our committee is always looking for helping hands! 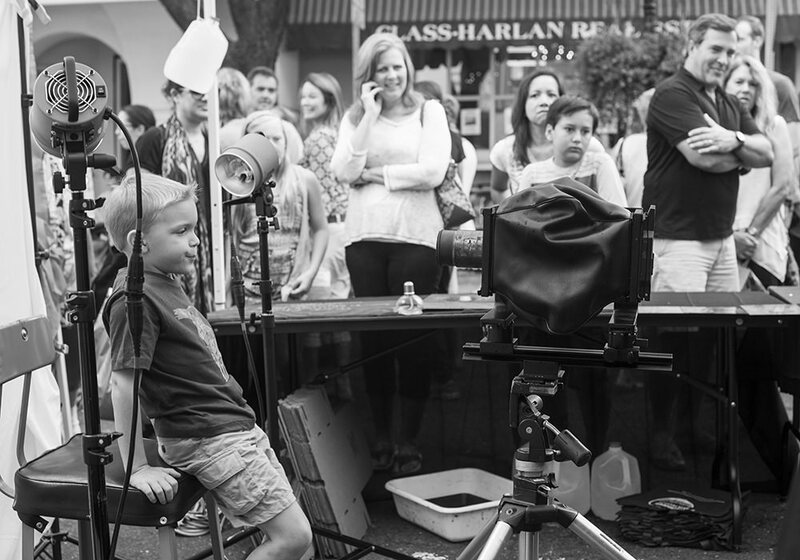 We have a wide range of oppotunities for all ages and abilities. Join our team! There are a variety of free parking options available for the weekend. The Doylestown Dart will be running to make getting around town easy. 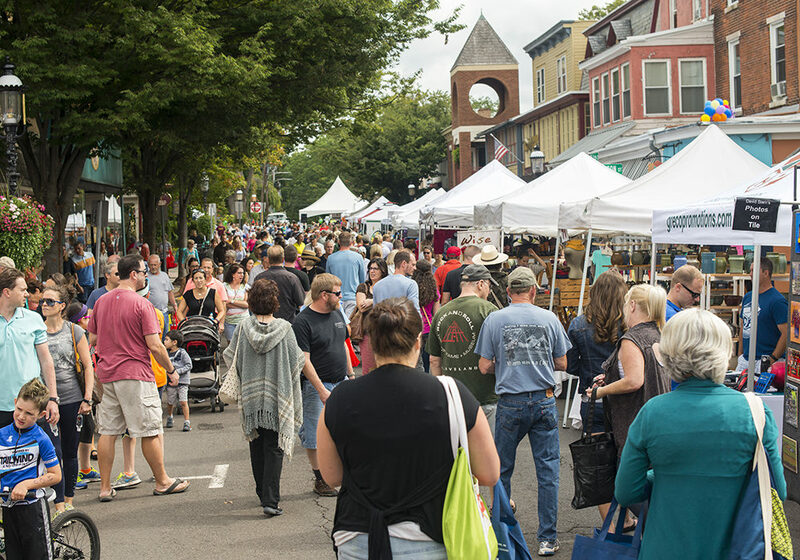 Doylestown Business and Community Alliance DBA Discover Doylestown is a non-profit volunteer organization of local residents and businesses dedicated to celebrating our community and creating lasting traditions. 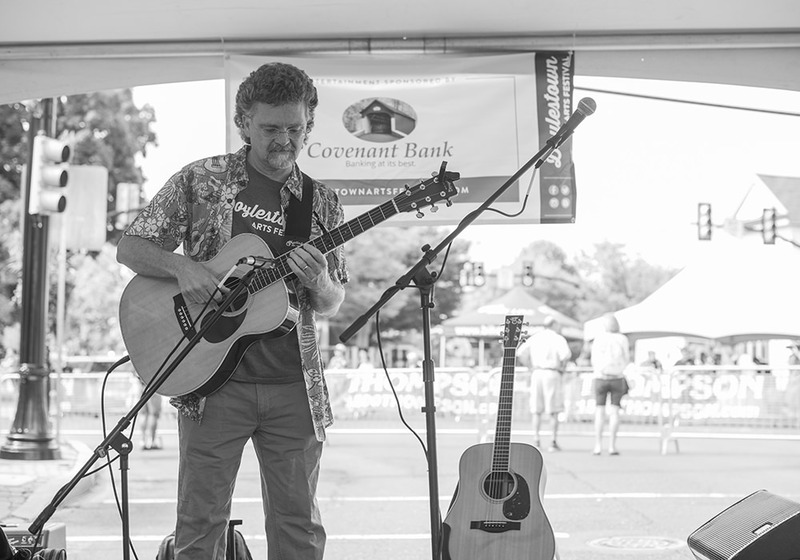 The organizations signature events include the Doylestown Arts Festival, Doylestown 5K Race, Taste of Doylestown, Spooktacular Parade, Doylestown Winter Fest, and more! 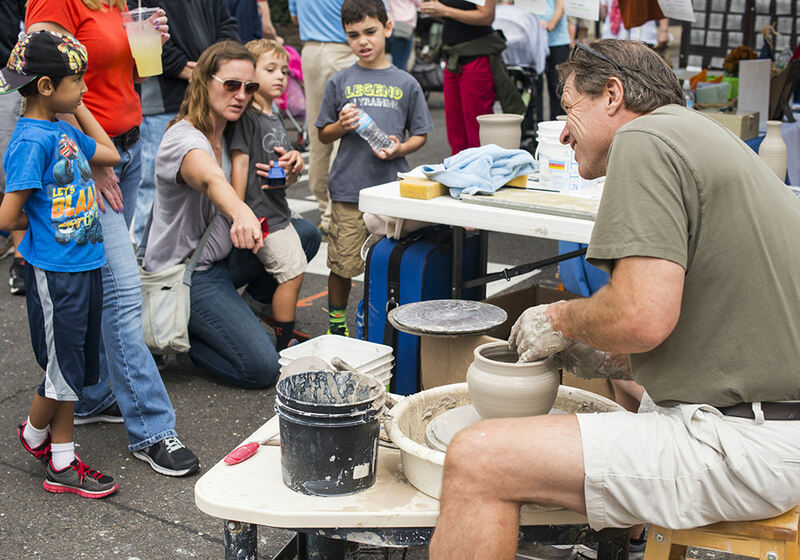 Proceeds from the Doylestown Arts Festival help to make these events and traditions possible.